I wrote this story for Al Jazeera. It’s about Charlie Hill, an American fugitive in Cuba. (See original version). Decades ago Cuba gave asylum to dozens on the run – mostly African-Americans – and now the US wants them back. 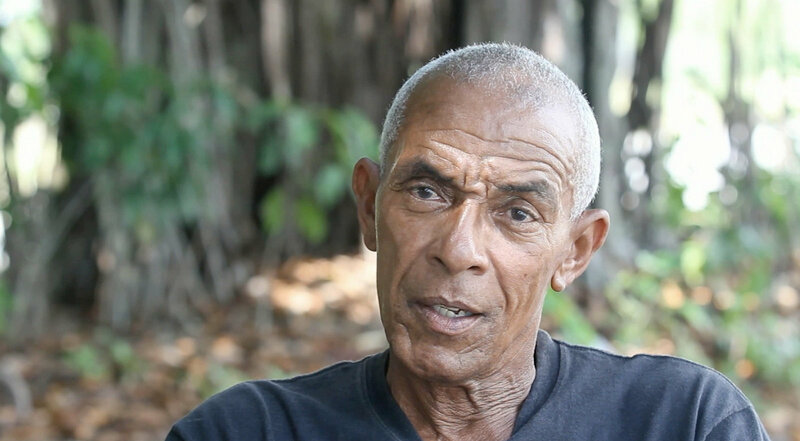 Havana, Cuba – Charles Hill scoffs at the idea of surrender after more than four decades as a fugitive in Cuba. The FBI would like that, too. So would police in New Mexico state, where Hill faces a murder charge for his role in the 1971 killing of police officer Robert Rosenbloom. But Hill, 65, said he can’t imagine facing charges in the United States. 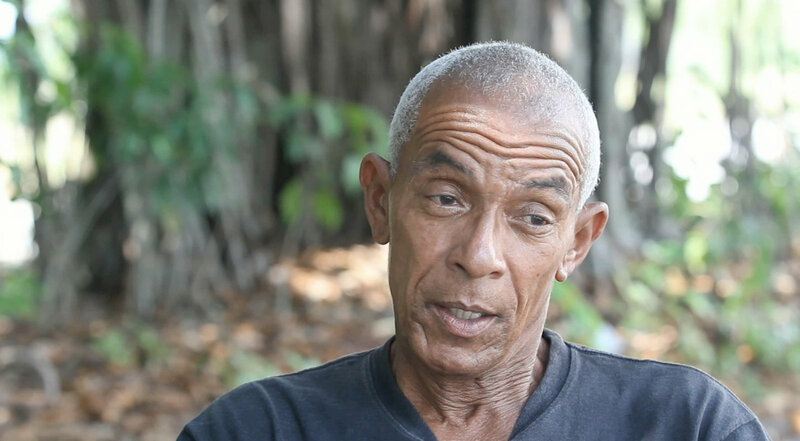 In the 1960s and ’70s, Cuba gave political asylum to dozens of fugitives, most of them African-Americans accused of everything from hijacking to murder. On December 17, the US and Cuba said they were restoring diplomatic ties, prompting new calls for Cuba to return the aging fugitives. The fugitives include Joanne Chesimard, also known as Assata Shakur, who escaped prison and made her way to Cuba after her conviction in the 1973 killing of a New Jersey state trooper. State and federal officials offer up to $2 million for information leading to her capture. Authorities ought to put a bounty on Hill’s head, too, said Rex Sagle, a former New Mexico police academy instructor who was friends with Rosenbloom. Hill was born in 1949 to a Cherokee father and an African-American mother in Olney, Illinois. He went to college in Oakland, California, but later dropped out. In 1966, Hill joined the US Army. He went to Vietnam in 1968 but refused combat, deserted his unit, and was arrested. Once back home, he joined the Republic of New Afrika, a black separatist movement that hoped to take over five southern states and create an independent nation. On November 8, 1971, Hill and two other New Afrika members were traveling across New Mexico in a Ford Galaxie loaded with military rifles, bomb-making materials, and hundreds of rounds of ammunition. Patrolman Rosenbloom was driving a Plymouth Superbird, a car developed for NASCAR racing and had a horn that sounded like the Road Runner cartoon character. Rosenbloom stopped the Ford. One of the suspects shot the officer in the neck with a .45-calibre handgun. Rosenbloom drew his weapon, but never fired. Hill compared the officer to the American actor John Wayne, but Sagle said he was no cowboy. “He was very good natured, very respectful to the violators,” Sagle said. “He didn’t enforce the speed limits. He just didn’t believe in it. If you were just 10 miles [per hour] over, he wouldn’t look at you. You had to go 15 miles over the speed limit. After shooting Rosenbloom, the men hid out for nearly three weeks. Then they stole a wrecker, crashed through a fence at the Albuquerque airport, and hijacked a Trans World Airlines plane bound for Philadelphia. Former flight attendant Elizabeth Walthall was working Flight 106 when Hill and the other men – Michael Finney and Ralph Goodwin – came aboard. “Charles grabbed me. He had a little tiny penknife. He said, ‘This ain’t no butter knife.’ I looked up over my shoulder and I said, ‘And I’m no piece of bread,'” said Walthall, now 71. The hijackers wanted to go to Africa. Walthall said the plane didn’t have enough fuel and suggested Cuba instead. She said Finney had a gun and seemed “really high strung”. Goodwin seemed more educated and less threatening. Walthall didn’t know who the hijackers were, so she gave them nicknames: Finney was “the Murderer”, Goodwin was “the Academic”, and Hill “the Comedian”. When Hill came aboard, his jeans were torn “in a very critical area”, she recalled. Walthall sat with the hijackers in first class while Finney held a gun to another flight attendant. “I lit a cigarette and Goodwin said, ‘You can’t smoke on take-off.’ I said, ‘Honey, when I’m hijacked, I can smoke anywhere I want.’ I said, ‘Do you want one?’ He said, ‘Sure.’ So we smoked, knocking the ashes on the floor, and he relaxed and we got in the air. Once the hijackers finished their beverages, Walthall said she quietly marked the bottles – C for Comedian, A for Academic, and M for Murderer – slipped them into air sickness bags and stowed them in an overhead rack. The FBI later thanked her for getting the suspects’ fingerprints. The plane landed in Havana and authorities granted aslyum to the hijackers. Hill said the Cuban government sent him to college for three years and gave him work doing construction and cutting sugarcane. Finney died of throat cancer in 2005. Goodwin – who called himself Antar, for an African warrior-poet – died in a drowning accident in 1973. Hill named one of his children after Antar. The boy is now 8. He lives with his father in a neighbourhood about 10 kilometres south of Havana’s famed seawall, the Malecón. On a recent day, Hill greeted a neighbour who was hanging clothes, then walked past a staircase and opened his front door. He stepped into a sparsely decorated living room and turned on the television. A bookcase held such works as Ready for Revolution by Stokely Carmichael and Jazz by Toni Morrison. “This book, for me, is the most important,” said Hill, holding a copy of The African Origin of Civilization by Cheikh Anta Diop. Asked if he’s a Muslim Hill said “no”. But he said he had read the Quran. “The Quran is there somewhere,” said Hill, rummaging through his books. “I’m an old man and my memory’s …” His voice trailed off. His home had three rooms: the living room, a bedroom and a kitchen. Hill sometimes works as a translator for American tourists, but he says jobs are hard to find. He spends some days drinking cheap rum with neighbours. Unimpressed, New Mexico Governor Susana Martinez calls Hill a “cop killer” and asked for his return in a December 18 letter to Secretary of State John Kerry. Days later, New Jersey Governor Chris Christie demanded that President Barack Obama press for Chesimard’s return “before any further consideration of restoration of diplomatic relations with the Cuban government”. For now, Cuban authorities aren’t likely to extradite the fugitives. “We’ve explained to the US government in the past that there are some people living in Cuba to whom Cuba has legitimately granted political asylum,” Cuban official Josefina Vidal told the Associated Press recently. James Early is a Smithsonian Institution researcher who has led delegations to Cuba. American officials lack a certain degree of moral authority in demanding the fugitives’ given their “historic horrific treatment of black Americans”, said Gerald Horne, a historian at the University of Houston. “I agree with those Cuban authorities who said it’s the sovereign right of any government to decide to grant political refuge or political asylum,” said Horne, author of Race to Revolution: The U.S. and Cuba During Slavery and Jim Crow. Recent police shootings in the United States “have led to thousands of people demonstrating under the banner, ‘Black Lives Matter,’ which at once shows you how difficult and powerless the situation is for black people in North America”, he said. Undeterred, police, politicians and others say they’ll continue pushing for the fugitives’ return. Sagle said he fears Hill will never be brought to justice. “There’s a chance he’ll die over there and never stand trial,” he said. Hill denied shooting Sagle’s friend Rosenbloom.